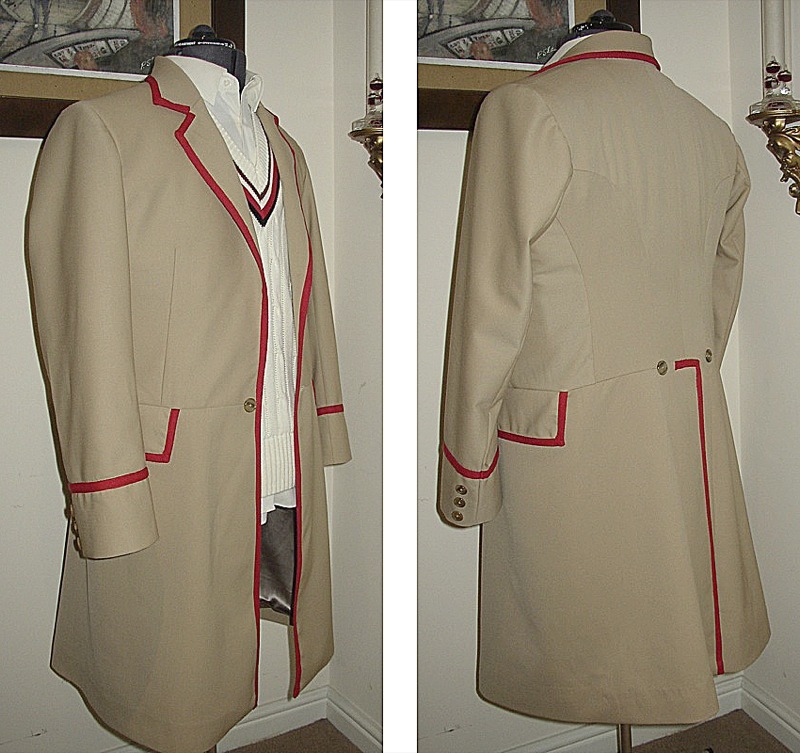 Making My 5th Doctor Costume: Five Coat - Finished! I have spent the past few month working hard on my Five Coat, and here at last is the finished coat! 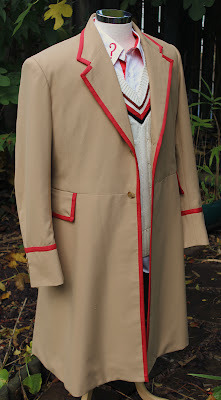 I am pretty happy with the result, but now I step back and take some images of the coat, I am wondering if the lapels and collar are just a little wide at the notch point. I may well go back and revise this, but only after a some thought as to how best to alter it. what colour (exactly) is the coat?, I love your coat and hopefully one day get one but for now i need a cheap alternative, I'm thinking of getting a lab coat and dyeing it. That is a superb job you've done. 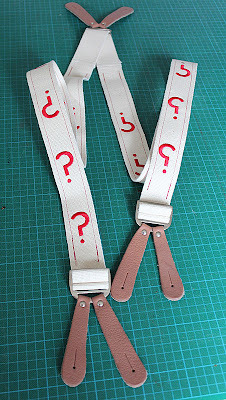 Out of curiousity how much would one cost?